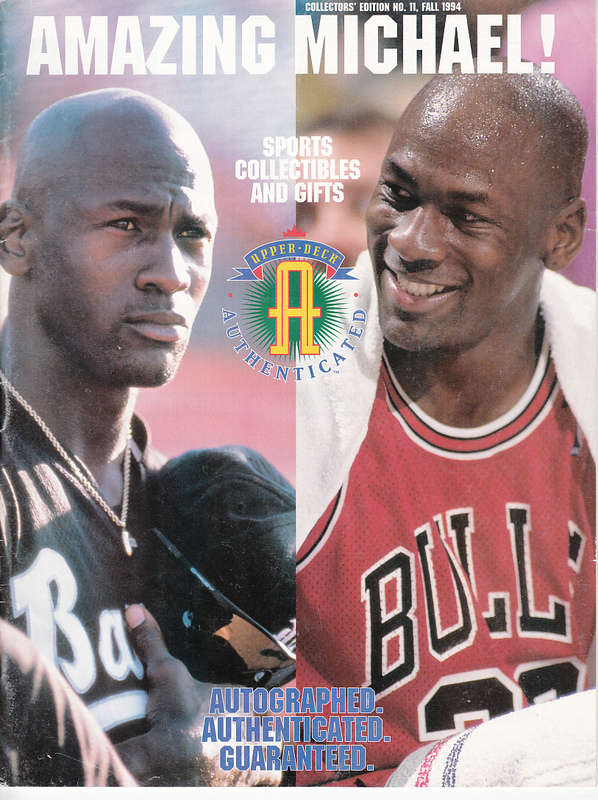 Original 1994 Upper Deck Authenticated catalog featuring Michael Jordan on the cover. The vast majority of these were discarded so they're scarce now. Has address label on the back, otherwise in excellent condition. ONLY ONE AVAILABLE FOR SALE.